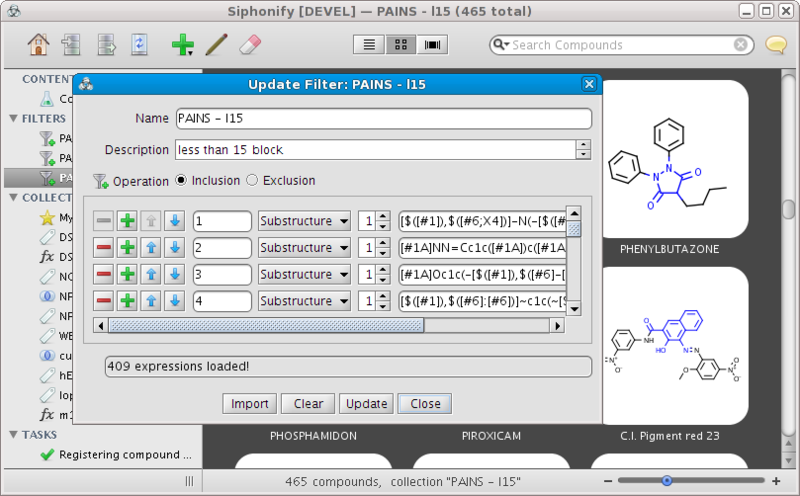 After a somewhat long hiatus (mostly in trying to tie up loose ends for the NPC browser), we're finally back! 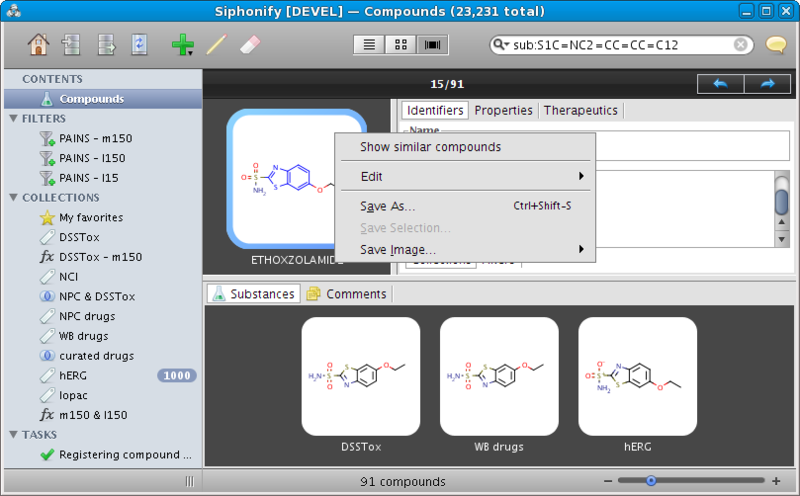 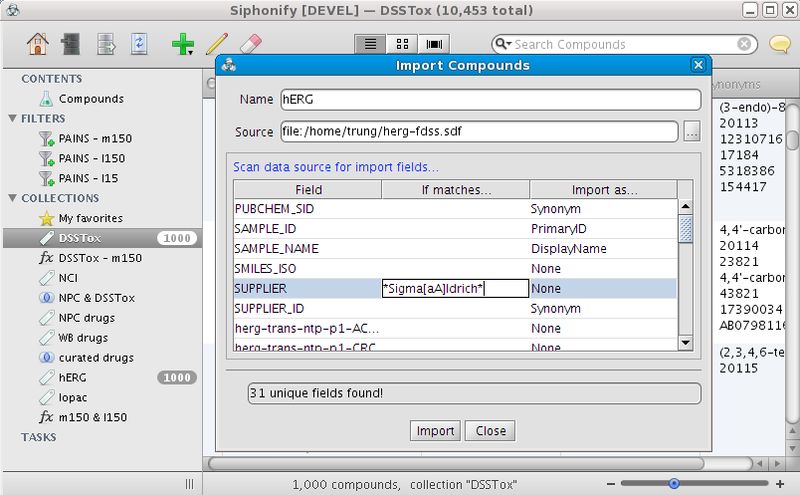 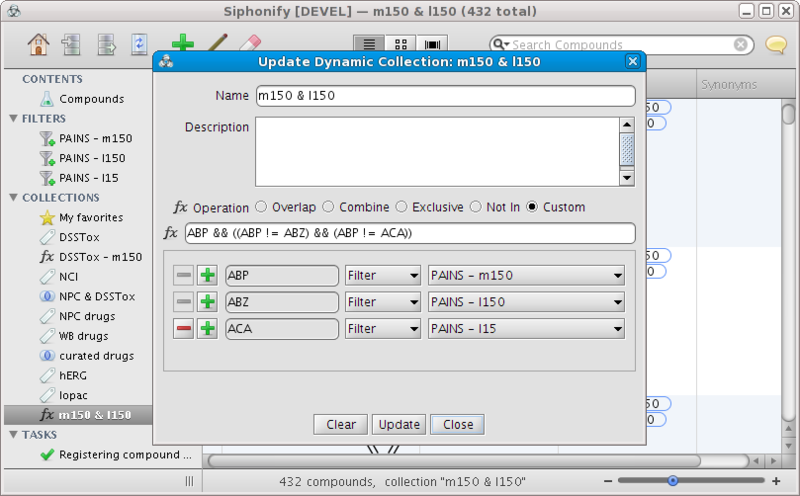 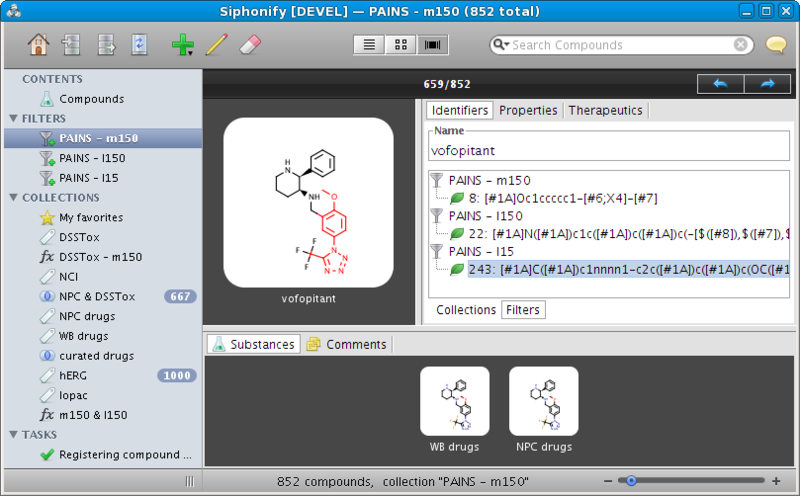 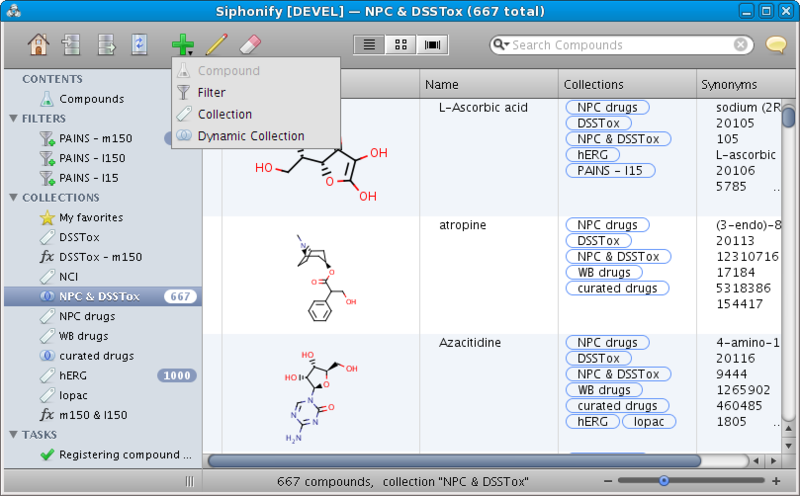 Motivated by the feedback that we've received from the NPC browser, for the past few weeks we've been working on a tool---Siphonify---to help make managing of chemical structures a bit easier. 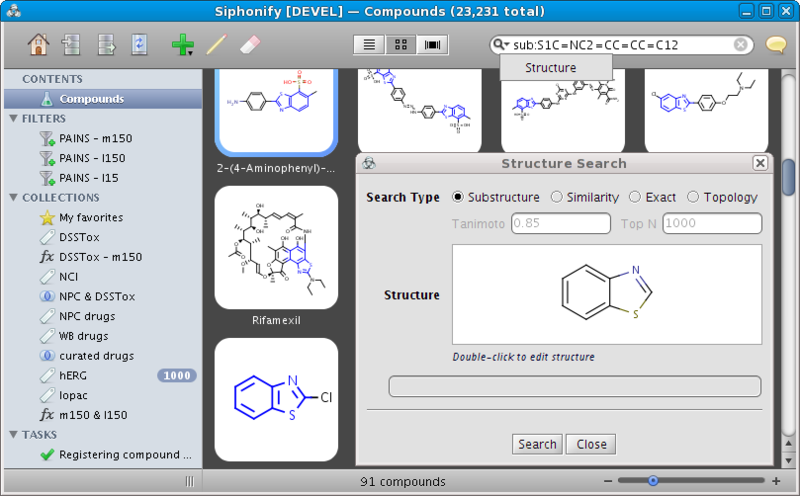 Now one can organize, search, and browse chemical structures in much the same way as those of music files and documents. 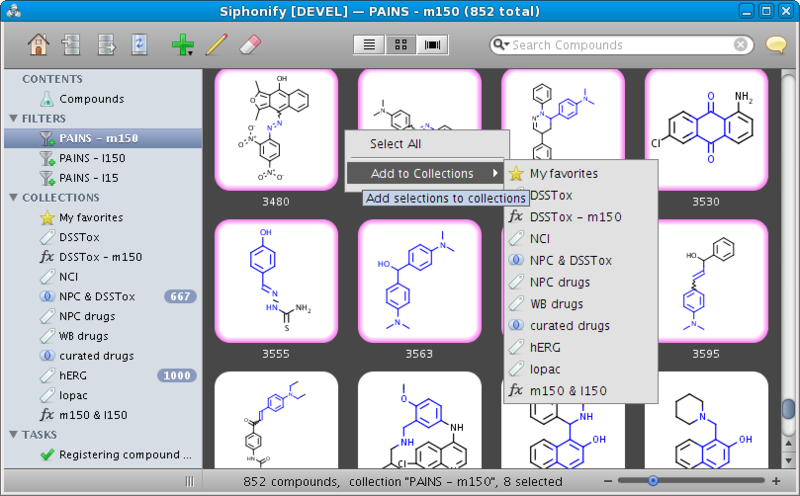 Please check out these slides for a quick tour of its features. 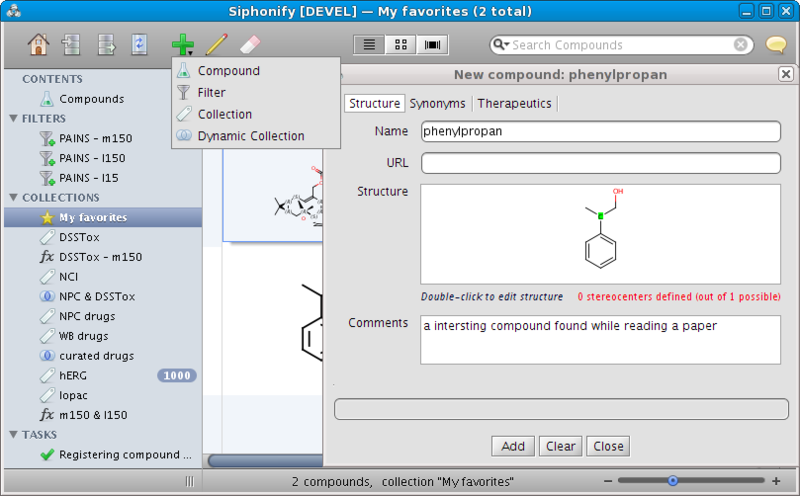 The tool is still very much in alpha stage, so we appreciate feedback and suggestions. 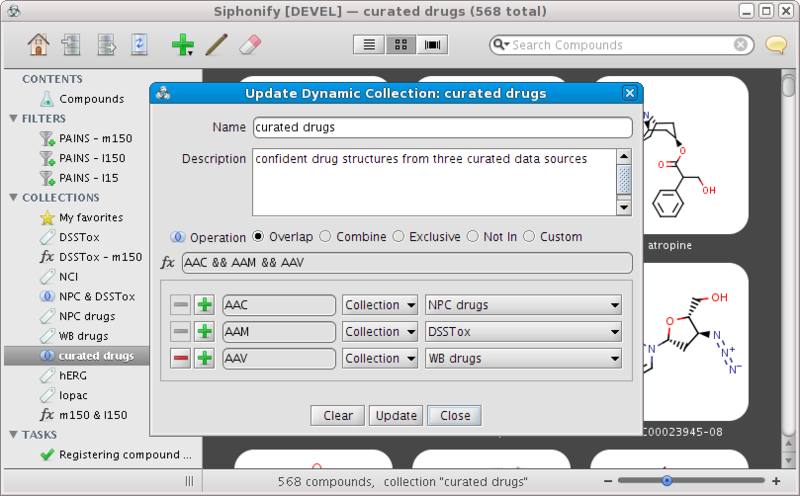 Below are various screenshots of the current version.